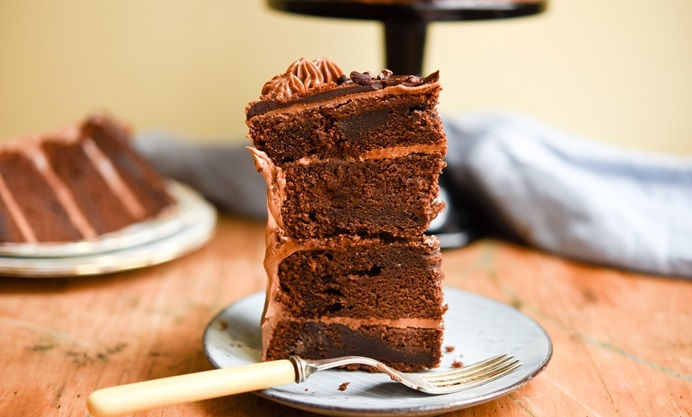 Angela Field's mocha layer cake recipe is an impressive bake, using cacao powder and espresso for a seriously luxurious cake full of deep, heady flavours. Cacao nibs are sprinkled on top of the rich mocha glaze for added crunch. 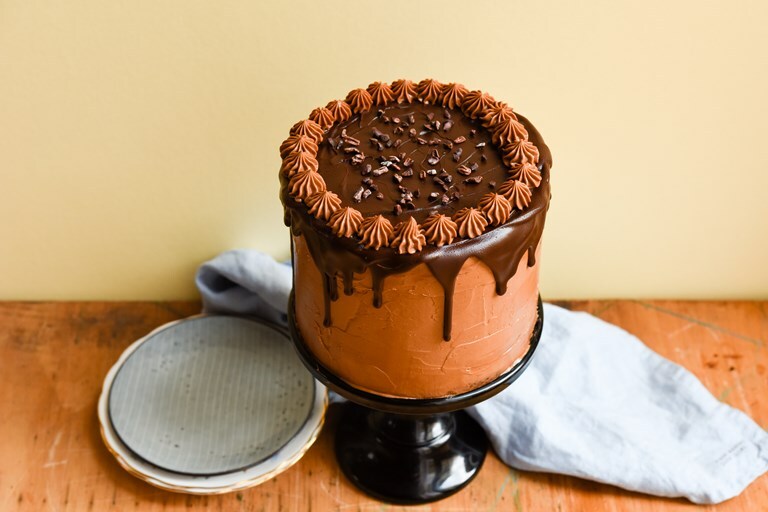 Everyone needs an impressive chocolate cake in their repertoire. This cake is perfect for a celebration, if you need a birthday cake or something to just make people say wow, then this is the recipe you need. It’s relatively easy to put together, with pretty basic ingredients most will have in their kitchen.